Renowned for her signature pop sounds and a voice that at once commands attention, ILUKA stands strong as one of Australia’s home-grown revolutionaries. Closer To You is a shiny pop gem that feature's engaging vocals, beautiful production and a slow burning hook that burrow's it's way into the listener's heart. Wolfmother have amassed a global fanbase, played to packed crowds around the world, at festivals like Coachella, Lollapalooza and Reading and Leeds, and have shared stages with Aerosmith and AC/DC. Harry’s new project, Struggle With Glory, continues to cross musical boundaries, transporting the classic Greco-Roman myths into a surreal world of old-time jazz and gospel music. If you like toe-tapping, humming in the aisles, sweating and wailing, but don’t particularly like going to church much, why not try shouting Zeus instead? Revenge, giant beasts in strange lands, the doomed love affairs of Gods and men, and the unstoppable torrent of fate is served up here. Emerging from the shadows, Principal rides the pulse of an alternate dystopian future. They bring an invitation to a glorious and debaucherous apocalypse. First single 'His Knife Collection' which features plenty of dobermans and sharp edges to help you through your day. The Jezabels formed in Sydney in 2007, comprising primary school friends Hayley Mary (vocals) and Heather Shannon (keys), high school friend Samuel Lockwood (guitars) and Nik Kaloper (drums). Revisiting their romantic roots, 'The Others' presents "a reflection of the kind of intense loneliness that makes simply being in ones own body feel painful. The unsolvable predicament of ones desire for another crossing over into a desire to lose yourself...."
Marlon William's ability to truly inhabit his material illuminates his majestic rendering of everything from diverse cover touchstones, to his own novelistic noir with gallows humour and a widescreen groove. In creating “Vampire Again,” Williams returned to NZ to re-engage in the writing process and work again with producer Ben Edwards. The accompanying video, directed by Williams in collaboration with UK cinematographer Steve Gullick is a tragicomic vignette of a societal outcast – misshapen, uncomfortable, humorous and a little touching. Multi-instrumentalist Alex Lahey embraces a simple, home-spun story-telling style that’s often underlined by her second love, the fuzz pedal. Distilling universal experiences into wry, punchy indie-rock songs is what Alex Lahey does best, and Every Day's The Weekend is no exception - a jaunty ode to millennial angst and all the complicated feelings that come with it. Interim are an alt-rock 5-piece from Sydney. They generate a fusion of scuzzy grunge, classic rock and a heaped helping of heavy blues attitude. ‘Moonshine’ is the 3rd single and accompanying video from the upcoming debut album Escapism by Sydney based alt-rockers Interim. Moonshine features the band’s trademark indie blues stomp, this time bringing their combined love of 90’s riff rock to the fore. APES have just released ‘FILTER’ the second single from their forthcoming debut album, ‘Stranger Than Strangers’ due out May, 2017. FILTER’ was mixed by Grammy Award winning engineer and music producer, Mark Rankin (Adele, Queens of the Stone Age, Florence and the Machine), and is the follow up to their impressive lead single ‘If You Want It’ which earned them glowing reviews and spins after its release late last year. Flower Drums have returned with 'Back To Earth' the first single from their long awaited debut album featuring the alluring vocals of Sydney based performer and producer Ash Hendriks. Back to Earth is the first single from Flower Drums long awaited debut album 'Sunshine Terror Babies', due out 2017. The self produced brooding synth track features the alluring vocals of Sydney based performer and producer Ash Hendriks. ‘Millennial Blues’ is the lead single and accompanying video from the upcoming debut album Escapism by Sydney based alt-rockers Interim. Having spent the past two years deeply immersed in writing and recording, Apes have emerged from the depths with a distinctly developed sound that's beautifully captured on ‘If You Want It’. Having spent the past two years deeply immersed in writing and recording, Apes have finally emerged from the depths with a distinctly developed sound that is beautifully captured on ‘If You Want It’, the first single taken from their debut album due out early 2017. Every now and then a local artist emerges who has an undeniable, palpable and infectious momentum, and 21 year-old Josh Cashman definitely fits into that exclusive category. Produced by renowned Australian producer Jan Skubiszewski (John Butler Trio, ILLY), Cashman locked himself away in the studio with Skubiszewski in August, where he crafted ‘Wishful Imagery’.A mix of both organic and electronic instrumentation that has broadened Cashman’s soundscape, delivering a beautiful song, showcasing a song-writing talent mature beyond his 21 years. Xylouris White is the pairing of renowned drummer Jim White (Dirty Three) and one of Crete's best-loved artists, lute player George Xylouris. Black Peak the title track of the album opens with a plucked riff, backed by pounding floor toms and a powerful vocal. After a cracking Splendour set, Alex is thrilled to release her debut EP. Lahey hocked her beloved Corolla to pay for the recording- the sacrifice is proving well worth it. Ascendant Melburnian indie-rock outfit Running Young are ramping up for the release of their second EP, You Better Run Son, with the announcement of new single Not The Same. ‘Not The Same’ is the first single the forthcoming second EP, You Better Run Son, due later this year. It’s a modern take on vintage rock, delivered with equal parts polish and grit, and packing a one-two punch of smooth harmonies and a cracking lead vocal. Ivan Ooze is a Melbourne based rapper with a fascination for intricate rhymes and a signature super-fast flow. Hooligans is a track about having a good time even if you are a little bit of a trouble maker. Whether you're drunk as hell or just like to bring the ruckus when you're at a party with your mates, this is an anthem for you. 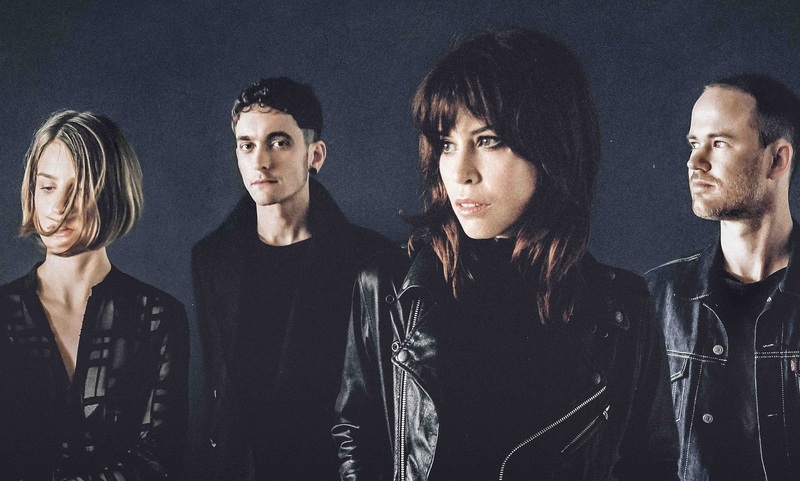 Australian quartet the Jezabels shimmer with their anthemic, empowering approach to indie pop. The Jezebels are singer Hayley Mary, guitarist Samuel Lockwood, pianist/keyboardist Heather Shannon, and drummer Nik Kaloper. Second single off the Jezabels forthcoming album, Pleasure Drive is all sensuous swing and electro burbles. Described by vocalist Hayley Mary, as "a song about life and the sort of human rite to pursue pleasure and the freedom of pain. So it's probably the least spooky song on [the album]."